Mary E. Rigsbee, age 70, went home to be with the Lord on Monday, January 14th, 2019, at the Kobacker House in Columbus, Ohio. She Mary was born December 9, 1948 in Ross, West Virginia to Edward Thomas and Iola Campbell. Siblings include, Iola Thomas, Edward Thomas Jr, Royal D. Thomas, Yolaine Hill and Dawn Thomas. Mary had three children which include Felacia Long, Rodney Long & Derik Rigsbee. Mary was a Christian who lived her life dedicated to serving and helping others. She was an amazing example of what we all strive to be. Her service will be will be on Thursday, January 17, 2019 1pm at MARLAN J. GARY FUNERAL HOME, THE CHAPEL OF PEACE NORTH, 2500 Cleveland Ave.
We are sorry for your families loss. Continue to rely on God and know that he hears your prayers, because he cares for you. With caring thoughts. I’m so sorry to hear of your loss. Cherish the precious time you had with her. If you love your mom with all of your heart, your pain will ease. Jesus will help if you just ask. The Lord is with you alll in this time of sorrow. We pray for strength and peace. Lean on the Lord for everything you all need. Weeping may endure for a moment, but Joy cometh in the morning. My deepest sympathy on your family’s loss. Mary was such a wonderful, kind, loving person. She lived her life always giving the best of herself to others. I was blessed to work with her at Riverside Hospital, for many years. She was an Angel here on earth and I know she will be one of God’s brightest Angels in heaven. Our hearts go out to you, her family. Please know that we are keeping you all in our prayers through this difficult time. Falecia, sincere condolences to you and your family in the passing of your mother. May Gods Grace and Mercy be with you today and in the days to come. Prayer for your strength during this time. Grace and peace to you Felacia and Derek. I pray peace in your life today as you say your final farewell to your mother and best friend. In the days to come I pray that you will look towards God and call on his name when you need comfort. I will always remember to pray for both of you as I kneel down to pray. Always remember that your mom loved you both very much, I know because I was there for many years and I saw it first hand. Lean on the Lord, He will wrath His loving arms around you and give you peace when you need it the most. I’m here if you want to talk or just want someone to listen. Love you both Aunt Pat. 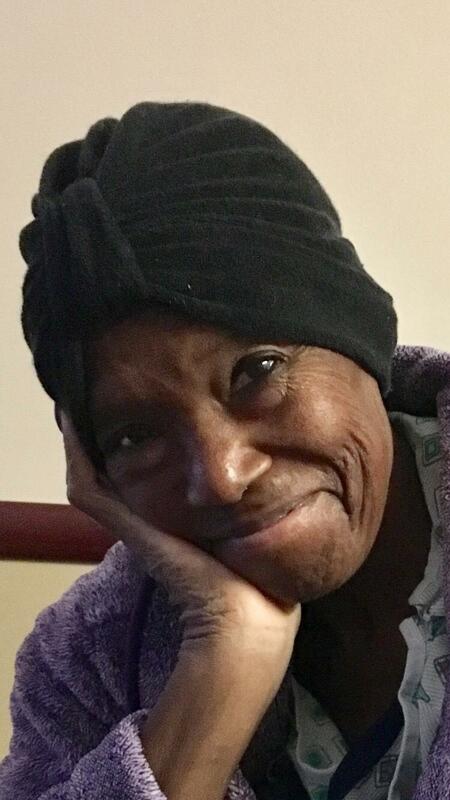 Falecia and family we are sad to learn of the loss of your dear mother and grandmother, our kind friend. We miss you and send our love to each of you. The staff at Wesley Glen Retirement Community sends our deepest condolences and prayers for the family. It was an honor to know Mary. We will miss her.